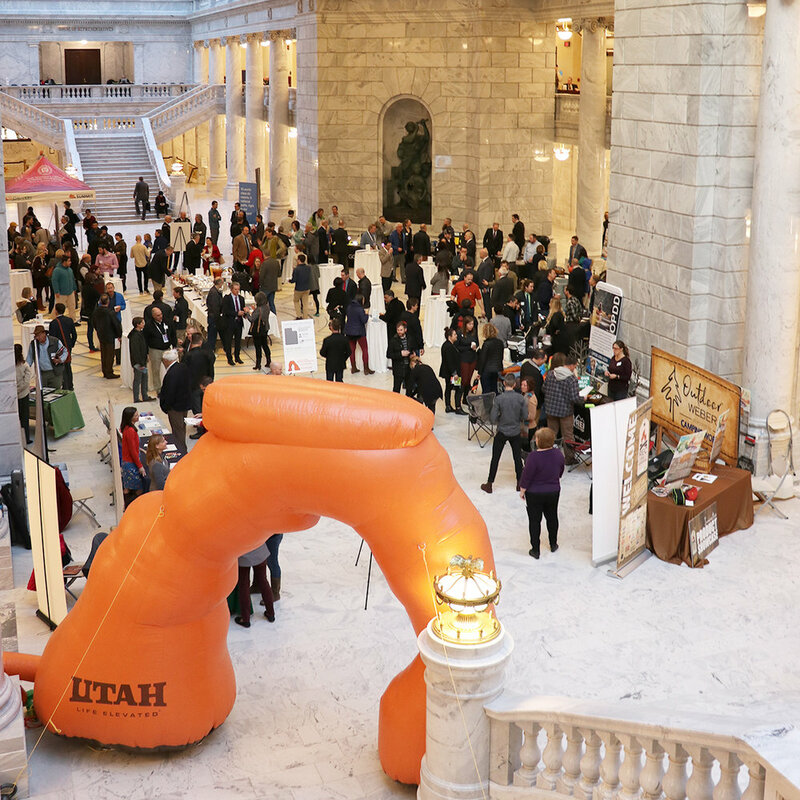 In a state known for its variety of incredible outdoor experiences, Utah legislators and outdoor industry leaders united to show support for a multi-billion-dollar Utah industry. Among those in attendance were Lt. Governor Spencer J. Cox, Tom Adams, the director for the Utah Office of Outdoor Recreation, Sen. Lincoln Fillmore and others. Phil Case, a board member of the Utah Outdoor Association said their main goal is to promote the growth of the Utah outdoor industry and to help them not only succeed but thrive. From waterskiing to hiking, Case said Utah has countless incredible outdoor experiences all within a short drive from many major metropolitan areas. This accessibility helps to promote a healthy, active lifestyle. Utah’s not only known for its incredible slopes and trails, its known for the 15 national parks residing in our beautiful state. Cory MacNulty, southwest associate director for the National Parks Conservation Association, said it’s critically important for people to remember the parks aren’t just for one generation. It’s up to the people to keep those parks beautiful for those who follow.